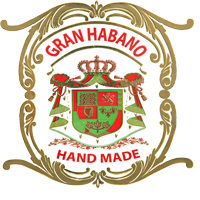 It takes generations to make a great cigar, and on its fourth generation, Gran Habano continues its tradition close to its humble beginnings.Tobacco farmer and cigar maker, Guillermo Rico, believes in patience building his business slowly and steadily through careful exposure of his cigars to the marketplace. His hallmark is attention to detail and a high reliance on strict quality control in traditional tabaquero fashion. Considering his background, such attention to detail is hardly a surprise. The Rico family history in tobacco stretches back to 1920, when Guillermo Rico’s grandfather began growing dark tobacco. His father succeeded him in 1946, and Guillermo recalls following him around the fields as a child and his mother rolling cigars at home. That legacy continues today in Gran Habano with a strong sense of family tradition embedded into every cigar made in Danlí, Honduras, where in 1998 the factory was established and became the birthplace of our premium cigars and the quintessential Gran Habano look.